gubhtugf ba gur "dhvrg crbcyr cvff zr bss" yvar? svefg fhfvr, gura gur punbf xvat...evtug orsber fhfvr nggnpxf uvz. vg znxrf zr jbaqre: jnf gur qnex jbeyq cheryl vafvqr xevf'f zvaq? jbhyq gung znxr uvz gur bar jub "sryy vagb uvf bja perngvba"? ubj zhpu qbrf gung bireync jvgu jung'f ba gur fhesnpr, pbafvqrevat fhfvr'f punatr bs urneg? qbrf gur pyvssunatre uvag ng nal cbffvoyr nafjref? Eh. I'm waiting until Chaptr 2 to draw any conclusions. This was quite the teaser. You guys would rather wait 999 years?! Well, he's doing it in Game Maker, so I dunno. I'd help him, but I don't know where to apply either. Also, I doubt he needs programmers, rather artists and designers and the like. It all reeks of Toby too much for the design to be outsourced. Knowing him, he'd never allow it anyway. My guess is either the whole "there's a team now" is either absolute BS (cue dogsong) or it's people HE hand-picked for programming and QA, plus maybe some mild story proofreading and the like. If true, most likely, it's the best fangame makers he's picking. My guess is either the whole "there's a team now" is either absolute BS (cue dogsong) or it's people HE hand-picked for programming and QA, plus maybe some mild story proofreading and the like. Now THERE'S a good theory! Is... Is this a reference to the later-gen bikes??? 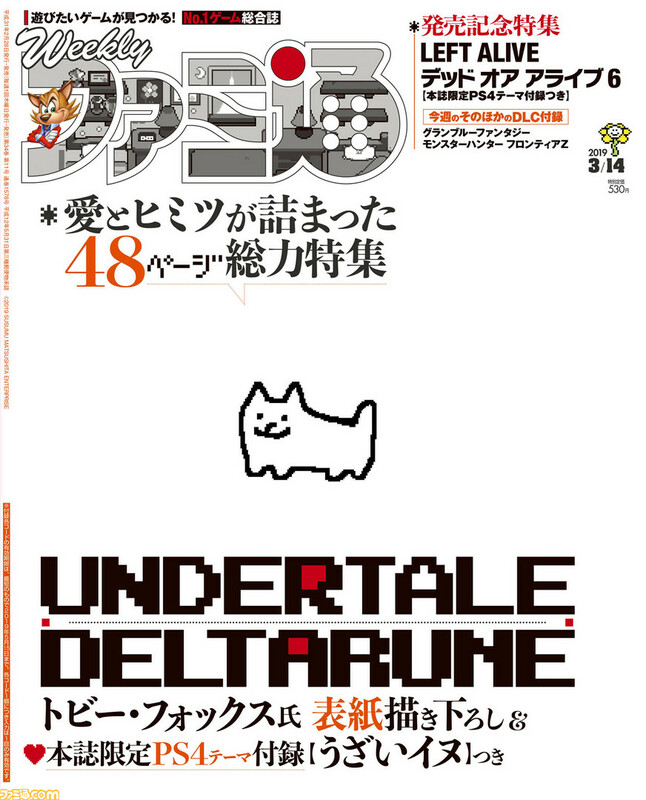 Toby got a 46-page article in the most recent Famitsu, including an interview between him and the director of Nier: Automata! Those localizations were a good idea.